Elena awakens on the morning after the accident to find the thing she dreaded most has come true – she died with vampire blood in her system and now must go through the terrible transition to become a vampire, or face certain death. Stefan promises Elena that he and Bonnie will exhaust every possible way out of the situation, but Damon is furious with his brother for letting Elena die in the first place. Bonnie pays a terrible price for her attempt to change Elena’s fate, while Damon takes out his frustration and rage on Matt. In a rare moment of empathy, Rebekah is deeply touched by Stefan and Elena’s devotion to one another. Finally, Pastor Young and the Town Council members begin rounding up the vampires and their supporters, leading to an unexpected tragedy. 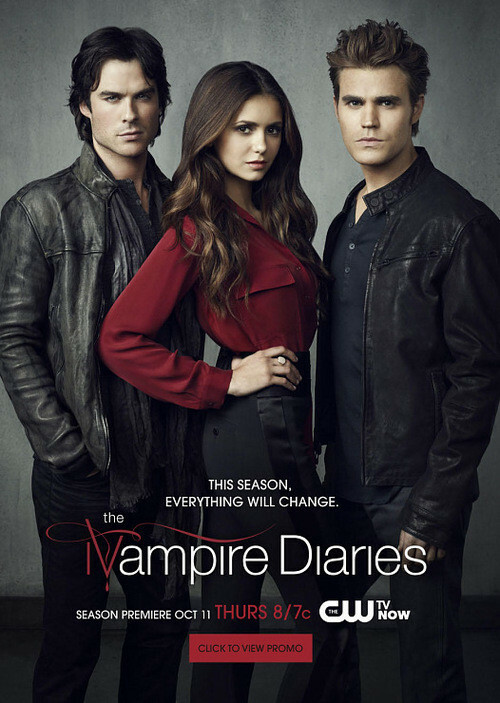 Elena tries to cope with the extreme highs and lows that are part of becoming a vampire, and Stefan and Damon almost come to blows while arguing about what is best for her. Damon decides to help Elena in his own way and asks her not to tell Stefan. A stranger, Connor Jordan, arrives in town and begins questioning Sheriff Forbes and Mayor Lockwood. Connor’s actions quickly convince Stefan that they are dealing with a dangerous vampire hunter. Jeremy and Matt are surprised to see a girl they used to know April, has returned to town and is enrolling at Mystic Falls High. At a town gathering, Elena comes close to losing control until Caroline steps in to help her. Finally, Damon confides his feelings to an unexpected friend. Connor继续他的研究去发掘神秘瀑布镇的秘密, 以及努力把Jeremy拉到自己的阵营(猎杀吸血鬼). 在Meredith(医生)的帮助下, Damon 和Klaus (Joseph Morgan)质问 Connor, 但是在对峙的时候事情发生了一个致命的转折. Elena为了保证她的全新生活和正常人一样,在Matt和Caroline的帮助下, 她决定去继续她高中生活. Rebekah在学校这个问题令Elena有些难以控制自己的愤怒, 但是她知道对抗Rebekah的后果非常危险. 过些时候, Rebakah发现自己很孤单, 于是和April做朋友. Stefan带着Elena进行一次惊险的摩托车之行来显示她的生活依旧可以有很多快乐. Tyler 有一个惊喜的探访人 —Hayley, 一个之前帮助他破解Klaus sire-bond的老朋友. 因为担心Elena, 以及自己的情绪问题, Stefan向Caroline寻求建议.